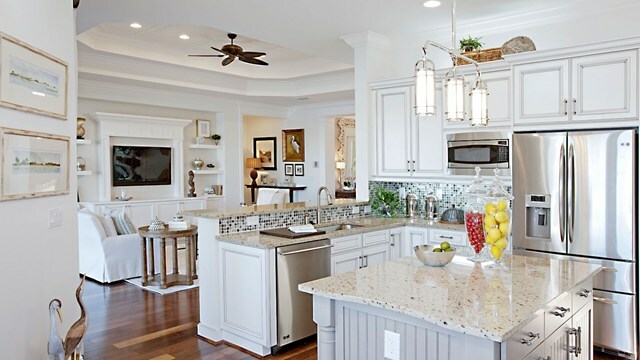 One of the most popular models in Riverstone Naples Florida is The Carlyle offering open floor plan living making this home perfect for entertaining family and friends. This is a brand new Carlyle home with a December/January delivery date. This Riverstone Naples home includes three bedrooms each with a full bath, and a large bonus room to be used as a den / office/ play room. There is a half bath off the great room and a three car garage. 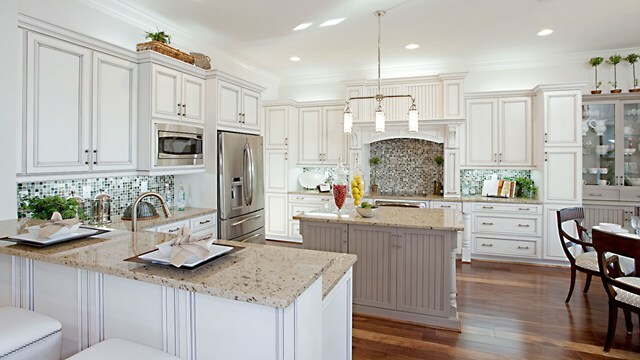 You will love the spacious kitchen complete with stainless steel appliances and quartz counters. Late afternoons are spent relaxing on your lanai gazing at your gorgeous lake view. Call or email today for a complete list of upgrades, floor plan and the lot specs. Riverstone in Naples Florida is a unique community with both retirees and families with children. On weekends most residents find themselves at the resort pool socializing with neighbors and friends enjoying everything Riverstone Naples has to offer. There is a clubhouse with a social room, billiards, game room, fitness center, indoor and outdoor basketball court, kids fun park and a very active tennis group. Riverstone Naples is in a great location with easy access to 1-75, you are 10 minutes to the beach, 20 minutes to downtown Naples and only 20 minutes to the airport. The photos are of a model and not the actual house. 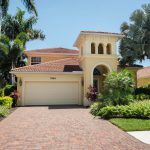 The beautiful gated community of Riverstone Naples Florida has over 22 homes plans and home sites to accommodate everyone. 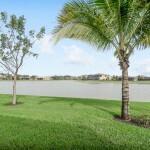 From beautiful lake views to preserve landscaped views you are sure to find exactly what you are looking for. With 286 acres of preserves and 86 acres of lakes, Riverstone is truly a stunning place to call home. 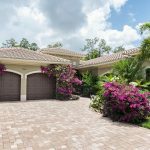 The homes in Riverstone are designed to maximize the year round warm Florida climate, with screened and covered patios that are ideal spaces for entertaining on balmy summer evenings. Riverstone is a gated community so you can feel safe and secure in the knowledge that when your children are out playing with friends they will be playing in a safe environment. Sidewalks are on both sides of the street throughout the community and neighbors enjoy meeting each other as they take their morning walks or walk their dogs throughout the day. Riverstone is unique in that there is a mix of all age groups in the community. From retirees to families, everyone enjoys the camaraderie of the neighborhood. 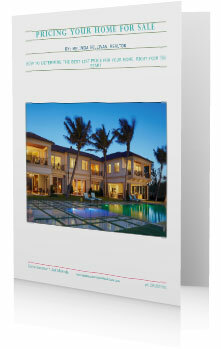 Riverstone, one of Naples most exciting new developments and has a lot to offer both retirees and families. 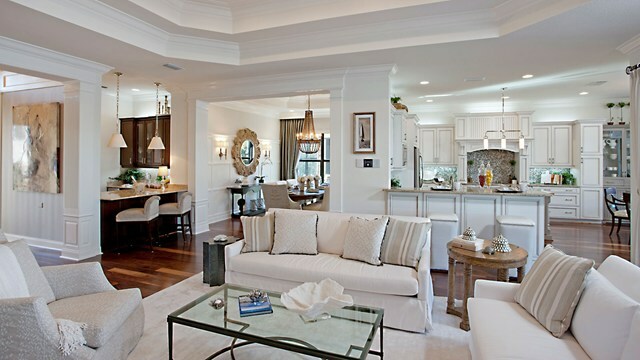 In fact, this luxurious community seems to have been planned with the enjoyment of residents in mind. The leisure facilities at Riverstone Naples will keep kids entertained all summer long, and the dreaded cries of “I’m bored” will not be heard! Many retirees enjoy lounging at the resort style pool and then meet friends for cocktail hour. Riverstone has a swimming complex, complete with waterfalls, kid’s pool, lap pool and a fun water zone area for kids to be splashed to their heart’s content. Riverstone even has a themed playroom for children, arts and crafts room, and acres of beautiful landscape to run and cycle in. That’s a huge house. I love the interior part and the exterior as well, with plants all around.